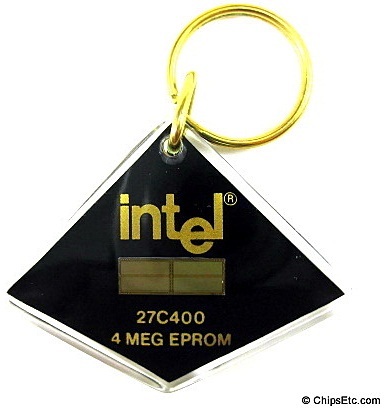 The EPROM, a non-volatile, erasable, memory chip was Invented by Intel's Dov Frohman in 1971. It is an Integrated Circuit composed of arrays of floating-gate PMOS transistors. 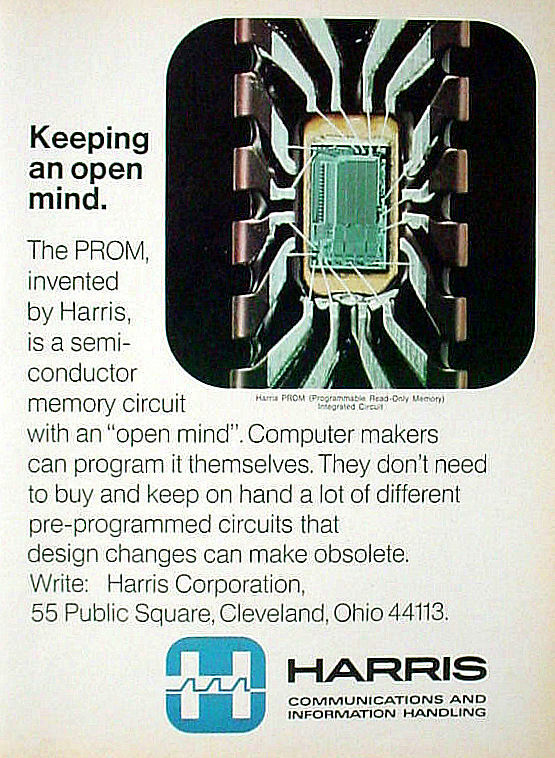 Before EPROM's were invented, computer memory chips were either "volatile" RAM (they would lose their contents if they lost power), or "read only" ROM (they could retain memory without power but could only be programmed at the factory). 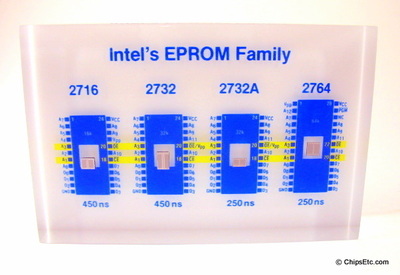 The EPROM combined the best of both RAM & ROM memories into one, providing the computer industry with a much needed non-volatile erasable memory. 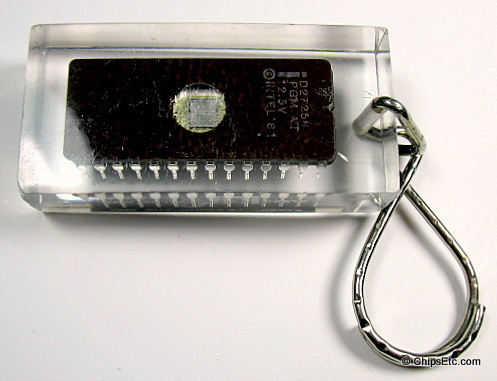 The first commercially available EPROM chip, the Intel 1702, was introduced in 1971 and held 256 bytes of memory. The introduction of the 1702 EPROM chip skyrocketed Intel’s memory chip sales from $9 million in 1971, to $66 million just two years later. 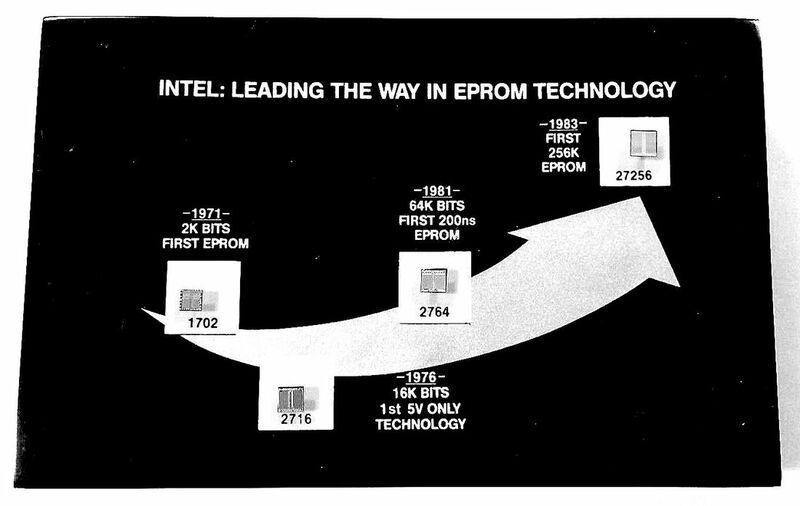 EPROMs would continue to be Intel's most profitable products until mid 1984. Numerous companies competed for market share in the prized EPROM memory chip business during the 1980's; Hitachi, Texas Instruments, NEC, Fujitsu, Mitsubishi, National Semiconductor, AMD, Toshiba & SGS-Thompson. EPROM (Erasable Programmable Read Only Memory) were programmed (burned) electrically. 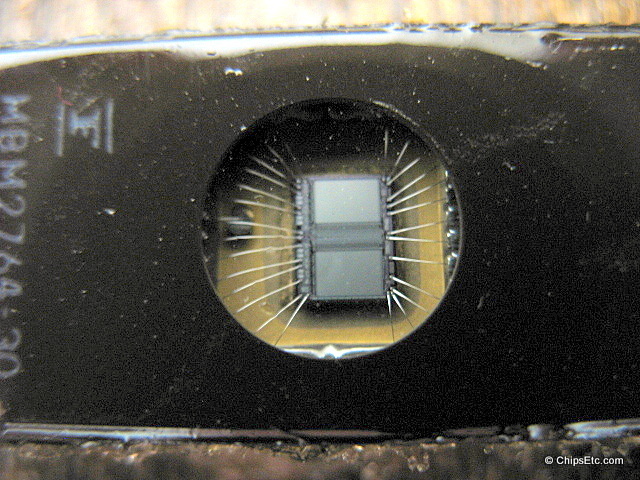 The memory was erasable using strong ultraviolet light exposed thru a quartz window on the top of the chip package. 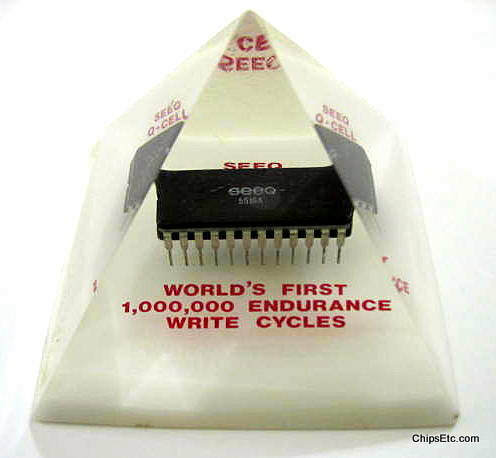 EPROMs had to be completely erased before being able to be reprogrammed one byte at a time. 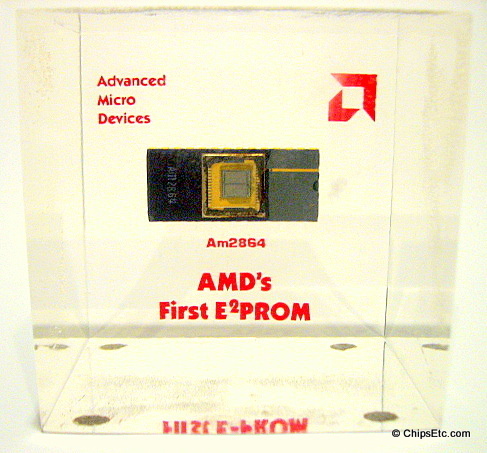 EEPROM (Electrically Erasable Programmable Read Only Memory), also know as E2PROM, were chips that improved upon previous EPROM technology, they were programmed electrically but could also be erased electrically without the need for UV light. 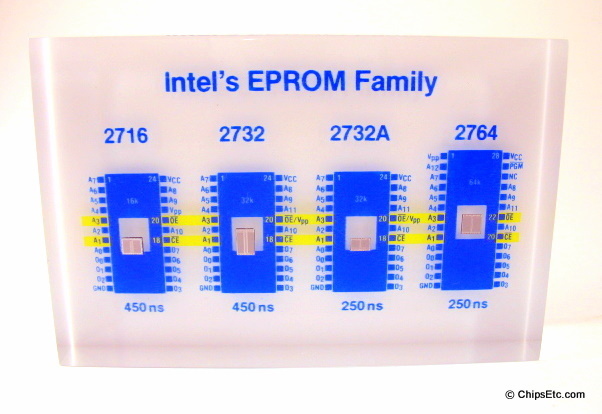 FLASH EEPROM memory technology is an advanced form of EEPROM's, they can be electrically erased and reprogrammed by accessing large blocks of their memory to allow for very fast read access times.